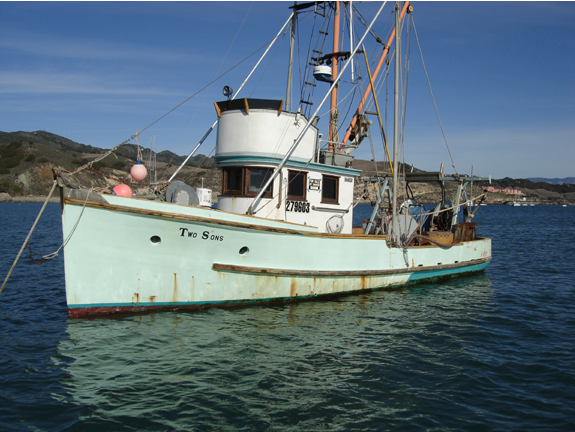 The 31 foot fishing vessel Two Sons with 2 crew on board reported they were taking on water near the Golden Gate Bridge, San Francisco. The crew sent out a distress call to the Coast Guard stating the vessel’s pumps were unable to keep up with the water ingress. The Coast Guard dispatched a helicopter along with the 47 foot lifeboat and the 87 foot cutter Tern. The 47-foot lifeboat reached the scene and transferred two dewatering pumps to the Two Sons. However, the crew were unable to keep the pumps running. The cutter Tern brought two of their own crewmen on board the Two Sons to assist with the pumps. With this assistance, the pumps were able to completely de-water the fishing vessel. The Two Sons was escorted by the Tern to pier 45 in San Francisco Bay. No reports of injuries or pollution being released.